ROOM 500, 116 S. MICHIGAN AVE. 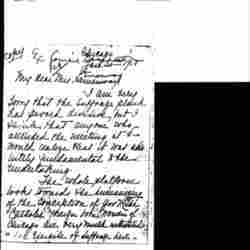 I am very sorry that the suffrage plank has proved divisive, but I think that anyone who attended the meeting at Washington would realize that it was absolutely lately fundamental to the undertaking. The whole platform looks toward the humanizing of the conception of government. It seems to me impossible to make any changes in the platform now. 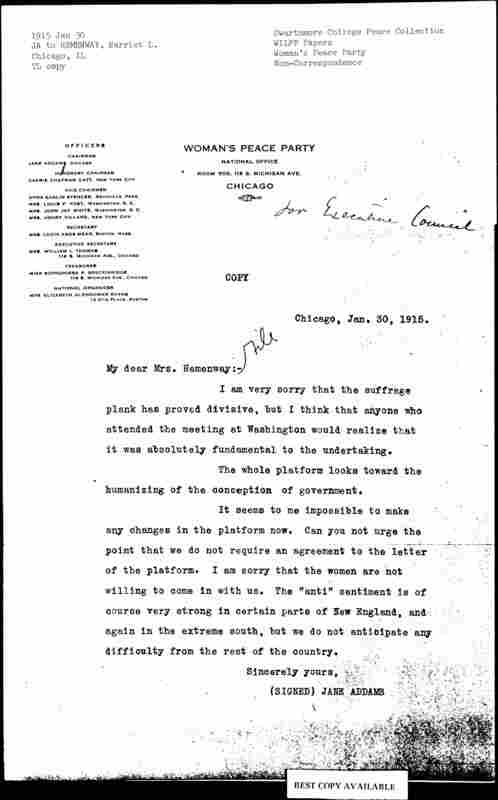 Can you not urge the point that we do not require an agreement to the letter of the platform. I am sorry that the women are not willing to come in with us. The "anti" sentiment is of course very strong in certain parts of New England, and again in the extreme south, but we do not anticipate any difficulty from the rest of the country. 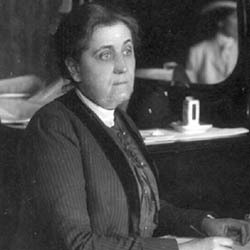 Addams discusses the suffrage platform of the Woman's Peace Party with Hemenway. 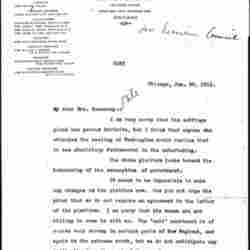 An unknown author wrote "for Executive Council" following the letterhead and "file" following the salutation. 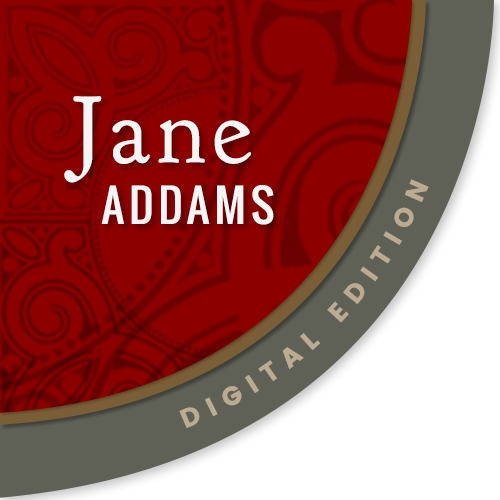 Addams, Jane, “Jane Addams to Harriet Dexter Lawrence Hemenway, January 30, 1915,” Jane Addams Digital Edition, accessed April 23, 2019, https://digital.janeaddams.ramapo.edu/items/show/7923.